Preliminary ProceduresSet the park brake and chock the wheels.Disconnect the range selector cable from the range selectorlever. Warning:Hold the transmission range selector lever while removing orinstalling the lever retaining nut. 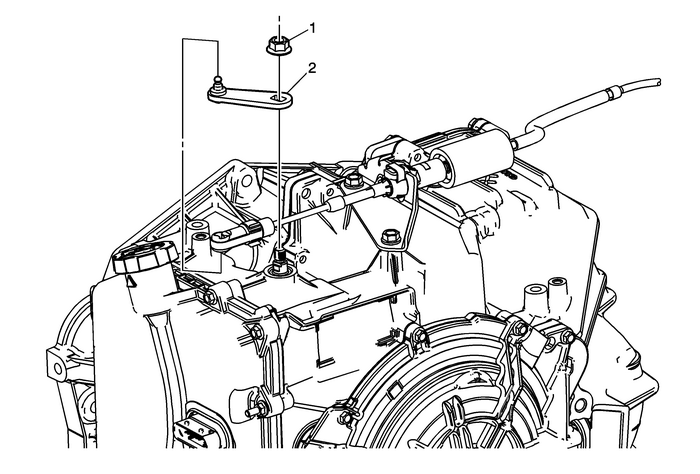 Failure to hold the lever cancause damage to the transmission internal park system componentswhich could allow the vehicle to roll when placed in the parkposition.